He also warned of communal violence in India before the next elections, security threat posed by the nuclear programs of India and Pak as also that India-China relations would remain stressed over the coming year. On Pak his assessment is on expected lines. Despite Pak pushing the Taliban for peace talks, it is against peace and stability in Afghanistan. It has always desired a weak Afghanistan under its control. It had for years been claiming that it neither had control over the Taliban nor did they reside on its soil. Under US pressure, they suddenly emerged and were even pushed for talks, for which Pak has officially been claiming credit. There have been reports of joint Pak army and Taliban patrols still presently being undertaken in areas dominated by them. Pak’s support to anti-India terror groups is an open secret. Its refusal to progress the cases against the masterminds of Mumbai and even providing them a political platform is further evidence. The recent telephone conversation between the Pak foreign minister and the Hurriyat leader Mirwaiz Umar Farooq and subsequently with Syed Geelaniclearly indicates that Pak will continue to attempt to meddle in Kashmir. The assessment on Pak only acting against terror groups which threaten its existence is old news. The TTP, created by the flawed attack on the Lal Masjid, and the Baluch Freedom Movement, created by the atrocities committed by the Pak army, are the only groups against whom the Pak army acts. The ISIS in Pak is also only an offshoot of the TTP. It is hoping that the Taliban occupying the high seat in Afghanistan would be able to control these threats. The threat to the integrity of the country posed by the PTM movement, gaining ground by the day has been ignored in the assessment. Pak objected to the USassessment claiming it to be counter-productive. However, even Pak is aware of the reality and cannot push its actions under the carpet. At the same time, it cannot accept US criticism. The overall assessment of Pak and its active policy of employing terror groups as a part of state policy has been in existence for decades and is simply ‘old wine in a new bottle’. The next major aspect covered in their threat perception was increased risk in the subcontinent due to the nuclear programs of both India and Pakistan. These programs have been ongoing for years. The difference lies in the approach to their employment by both nations. India has officially professed a no-first-use policy, while Pak claims it will employ them for self-defence. It has even developed tactical nuclear missiles and continues threatening India on its employment. This approach by both has remained unchanged over the years. 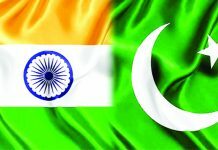 What has been missed by the US National Intelligence team has been that India, in case of any major misadventure by Pak will be willing to call the nuclear bluff and seek a conventional strike in retaliation. Pak on the other hand would desire either maintaining status quo or escalation to the nuclear level, as it fears India’s dominant conventional military power. Hence, the threat of employment of nuclear weapons is mainly from Pak, rather than India. This should have been highlighted as a warning to the senate committee. The third aspect covered in the brief was that Indo-Chinese ties would remain tense in 2019. Despite all the bonhomie between the two leaders, post the Doklam crises, there has not been any change in outlook. For India, China would always be the major threat. Every time there are visits or joint exercises, media reports, quoting official sources, claim an improvement in ties. What has been missed is that these ties appear normal as both nations strive for it. Internally, tensions remain as they have over the last few decades. Tensions would only be narrowed provided there was some settlement to the border dispute and other irritants, which remain ignored. Hence, the assessment has only continued to state the obvious. The fourth major aspect highlighted was South Asia facing more challenges because of the Afghan election. Elections are presently on hold as talks between the US and the Taliban progress. Instability would rise if the US withdraws without ensuring stability in the country and an orchestrated agreement for the future governance of Afghanistan between the Taliban and Kabul. In the present environment the Taliban is neither respected nor considered a suitable alternative for the country. The Afghan army and the Taliban remains staunch enemies. Expecting the two to merge and operate together is presently unlikely. Hence, challenges to the region would be dependent on US actions and the deal which it strikes with the Taliban, rather than on forthcoming elections. Finally, the briefing predicted the possibility of communal violence in India ahead of the general elections, in case the present government goes ahead with its Hindu Nationalist themes. Indians are aware that it is possibly the first time that all political parties, fearing the power of the BJP, have combined against them. Since this comment talks of the future, it can only be wait and watch. However, the Government would take precautions. There is truly nothing new which has emerged which could imply a change in approach and strategy of the US towards the subcontinent. In the overall assessment, the analysis of the US National Intelligence Agency is just ‘old wine in a new bottle’.